Oregon Grape plant, Berberis aquifolium syn: Mahonia aquafolium, is sometimes known as Mountain Grape.The state flower of Oregon. Berries are used by the native Americans as a food, to produce juice, jelly and jam. Traditional use of the root to treat indigestion, bronchitis, psoriasis, oral herpes and indigestion. A gentle stimulant to the liver. Controls excessive secretions of the mucous membranes. The yellow inner root yield a yellow dye. 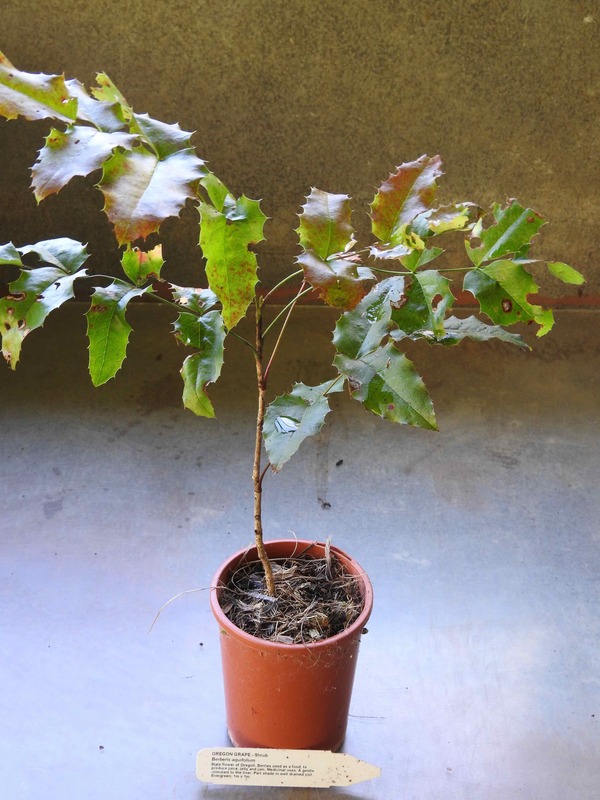 Oregon Grape plant is native to North America and prefers light to medium, well-drained soils in an open sunny position. Produces clusters of fragrant small yellow flowers in spring and summer. Frost resistant but drought tender. Evergreen shrub growing to 1m x 1m. Be the first to review “Oregon Grape, plant” Click here to cancel reply.